Lately I've been getting bored of the dark vampy colours on my nails and have been wanting to inject a bit more colour back into my life. Unfortunately, the weather outside is still miserable and it doesn't seem like spring is coming any time soon. I've been obsessing over finding the perfect grey tone - nothing too dark, with a little bit of something extra. 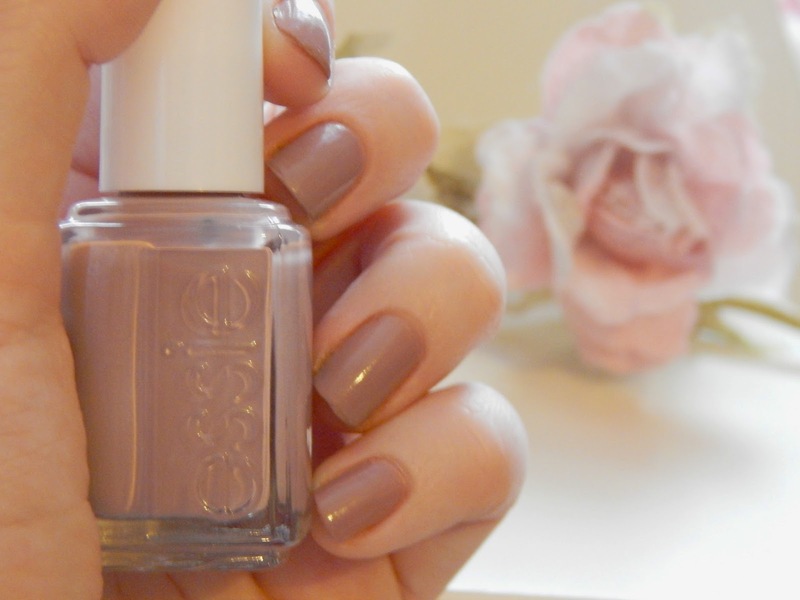 Lady Like by Essie is the colour I was envisioning, I would describe it as a mushroom grey mauve. Since I bought this I've been wearing it loads, it seems to chip less than my other varnishes and is a nice change. I'll refrain from whacking out my pastel nail varnishes for a little while longer! This shade is lovely! Perfect for the winter months. This color is perfect!! Loving the mauve-y natural shades - and a bonus that you don't see it chipping as much! Yay!